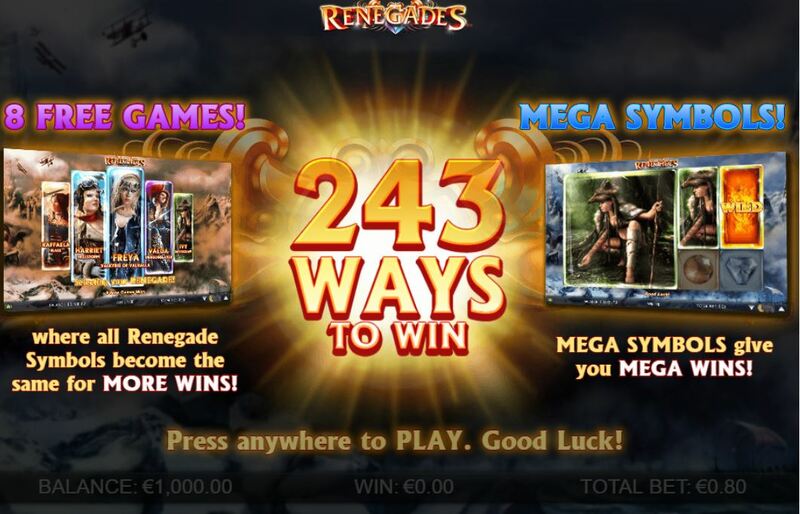 Renegades slot, like Medusa 2 and Cash Stampede is a Nextgen 243way slot but this time with a cartoon theme of female heroines, but not a trademarked game just one created in-house. All the icons including the wilds are stacked appearing in blocks of 4 or 6, also stacked sideways over 2 rows each. 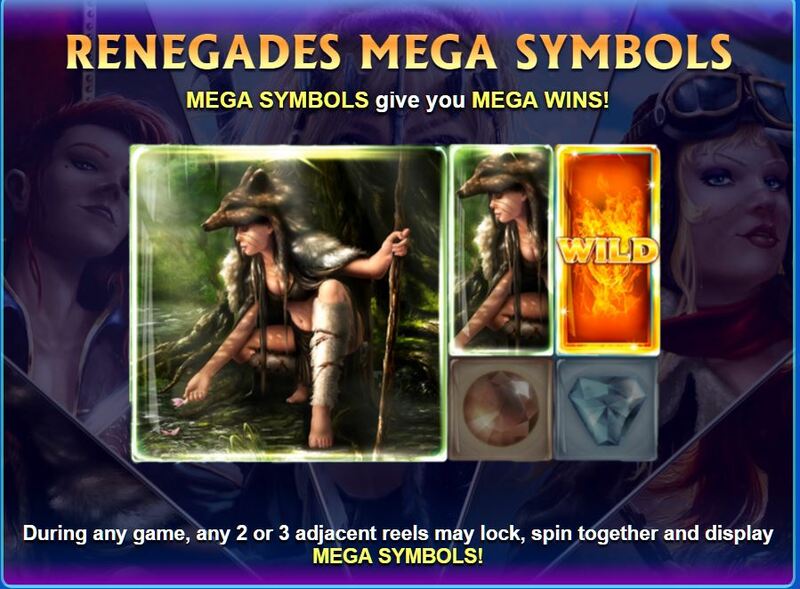 The Renegade women are Freya, Harriet, Valda, Raffaela and Ivy Sabreclaw with Freya paying the highest. 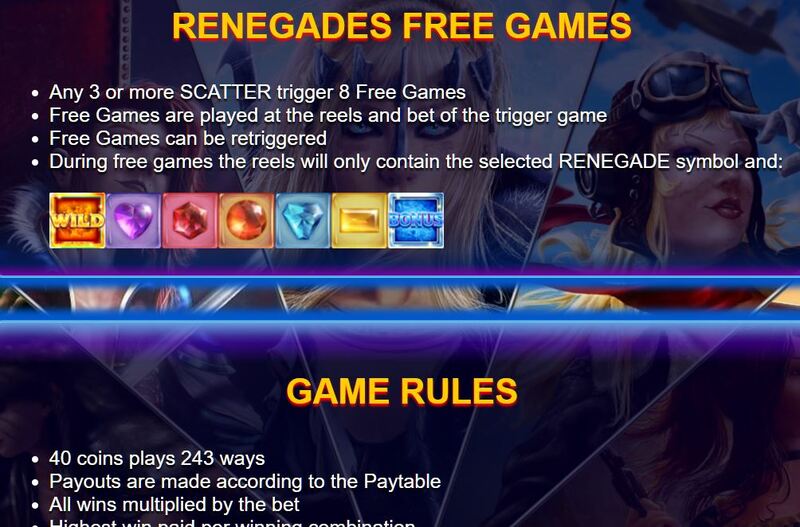 Three Ice scatters anywhere on Renegade slot trigger the feature round of 8 free spins which you can retrigger and during these you’ll see more big block symbols but more importantly the game selects one Renegade Girl who will remain and also replace the other 4 Renegade characters, thus increasing the chances of big wins involving a Renegade. 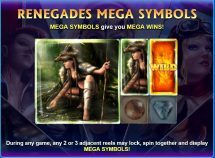 The game has a good 96.7% RTP and it’s possible to win over 1000x bet in both the base game and more likely, in the free spins bonus round.